FAMILIES ARE AN INTEGRAL PART OF THE ELIOT SCHOOL. WE WELCOME FAMILY INVOLVEMENT IN ALL ASPECTS OF THE SCHOOL. PARENTS ARE WELCOME TO VOLUNTEER IN CLASSROOMS, VISIT WITH THEIR CHILDREN, AND SHARE THEIR TALENTS WITH ALL THE CHILDREN. ADDITIONALLY, WE ENCOURAGE ALL FAMILIES TO GET INVOLVED THROUGH THE FAMILY COUNCIL. AS A COMMUNITY, WE ALL WORK TOGETHER TO MAKE THE ELIOT SCHOOL THE BEST SCHOOL IN BOSTON. Arrival Procedure: The instructional day officially begins at 8:30am. We are asking that all students arrive no later than 8:15 am. Teachers will be on their posts at 8:15 am. Students who take Boston Public Schools transportation will be escorted through the Prado as soon as their bus arrives. Families who in the past year have used the drop off at the Prado must not drop students off any earlier than 8:15 am. All Families must remain with their child until teachers are on duty at 8:15 am. Breakfast will be served at both the Lower and Upper School beginning at 8:00 am. 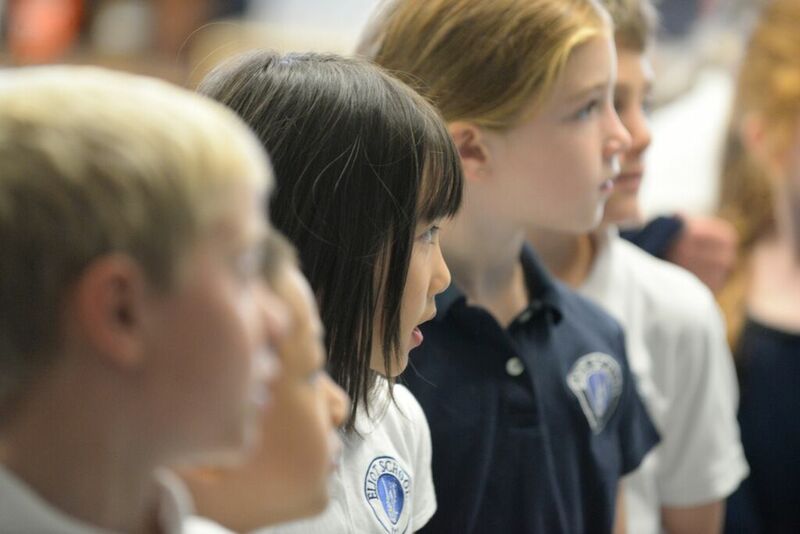 Students in the Lower School (K1–Grade 2) will gather in the Lower School cafeteria. Students in grades 3–4 will gather downstairs in the Gym/Multipurpose Room for Morning meeting. Students in Grades 5–8 will gather on the third floor for Morning meeting. The morning routine includes all homeroom teachers greeting families and students in their morning gather locations. At 8:25 am, we will hold our morning community kickoff which includes the Pledge and daily announcement. At 8:30 am, students will head to class ready to start a powerful day of learning with our phenomenal teachers. Students must be present by 8:30 am to be considered on time for school. We appreciate everyone supporting this special way to gather every day! Parking in the North End is quite challenging. Please be respectful of our neighbors and avoid pulling onto sidewalks. Dismissal Procedures: Shout outs will occur in both Upper and Lower Schools at 3:00 pm. At the Lower School, our kindergarten students will be dismissed first following the shout outs to ensure they can be down stairs in the playground first. Next at 3:10 pm, our walkers in Grades 1 and 2 will be dismissed. All Kinder 1–Grade 2 walkers will be escorted through the Lower School cafeteria doors by teachers.The Lower School playground is a very busy area. We will be placing cones to separate where families should stand. When you pick up your child and you are remaining in the playground, please move toward the play structure to allow families space to pick up their student.Nazzaro Center after school students in the Lower School will wait in the new Italian Room on the first floor of the Lower School and in the Art Room at the Upper School. Both groups will be escorted to the Nazarro with a BCYF worker.Buses will begin to be called at 3:05 pm. Students from both the Upper and Lower Schools will be escorted to the bus by a teacher(s). All buses will be loaded on the corer of Hanover Street and Charter Street. Upper School students will be walked to the bus pick up location through the Prado.Upper School walkers will be dismissed beginning with Middle School MBTA riders at 3:17 pm. Grades 5–8 walkers will be dismissed at 3:19 pm. Grades 3 and 4 walkers will be dismissed at 3:21 pm. W.I.N. Block: Learn more about your student’s new individualized “What I Need” acceleration block. Think:Kids: The Eliot is proud to partner with this MGH to support the social-emotional development of our students.